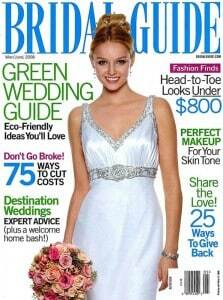 Click here to visit the ValueMags site and fill out the form to request a Free 2 Year Subscription To Bridal Guide. You’ll get your first issue in 6 to 10 weeks. No strings attached. You’ll never receive a bill.